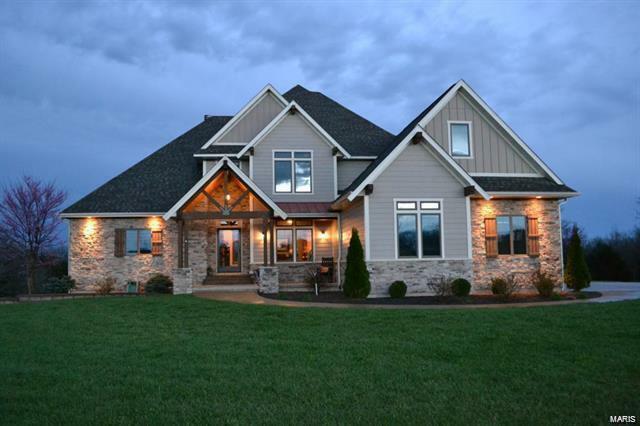 Rustic elegance is displayed in this custom built home nestled on 20 acres. This home is located at the end of a 1/2 mile paved private drive. Quiet, private lot with a beautiful yard and mature trees. 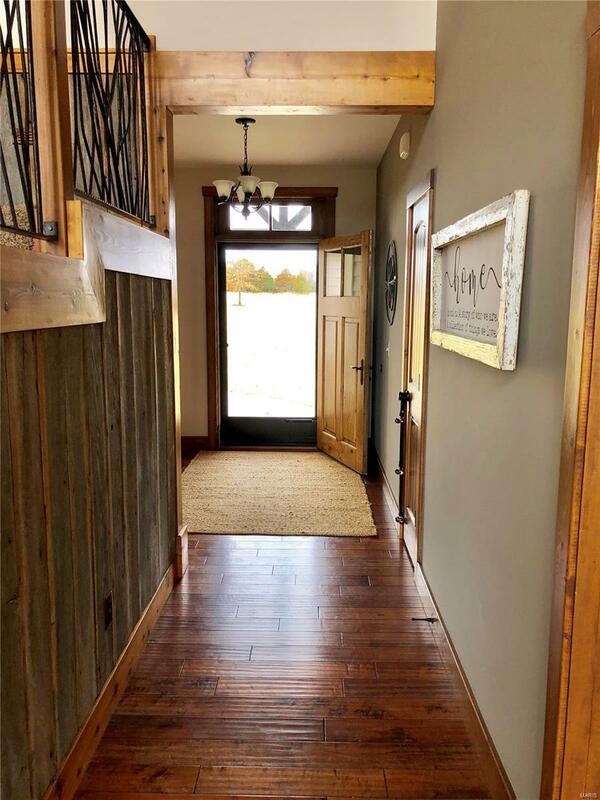 Home features custom designed railings inside and out. The gourmet kitchen exhibits custom alder Village Gallery cabinetry with granite counter tops, commercial grade stainless steel appliances, and a large walk in pantry. Master suite is over sized and the master bath features a walk in double shower with large his/her walk in closets. The upper level contains 3 bedrooms with a Jack and Jill bath. Laundry is on the main floor as well as the second story. Lower level includes a family room, 5th bedroom with walk in closet, and a full bath. Lower level also has an over sized John Deere garage. New deck was built in the fall of 2018. Located just 10 minutes from Rolla with abundant wildlife that includes deer, turkey, and bald eagles.